I almost never make new year’s resolutions. This year is different. I feel driven to make things happen. It just feels important to set some solid goals. 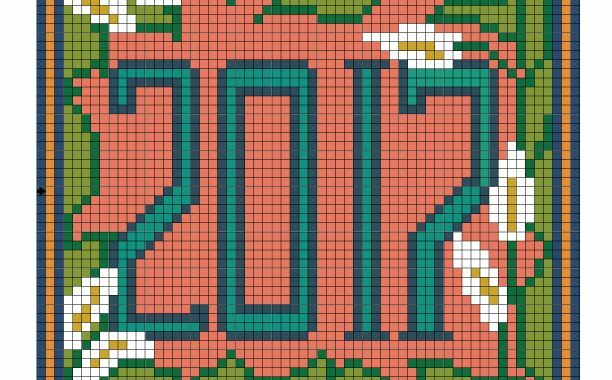 So…for 2017 I want to create more and be more daring with the use of color. I also want to share more of what I create so others can hopefully find it inspiring. 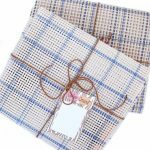 So they can discover the joy and peace found when you create–whether it’s painting, sketching, knitting, crochet, locker hooking or weaving. It doesn’t matter. Find something you enjoy and create with an abundance of color. Find inspiration in your surroundings or follow people and companies that inspire. Getting creative can be an adventure. 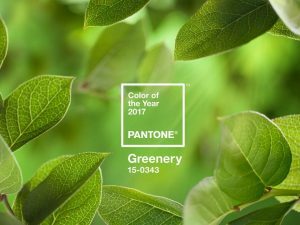 Two companies that I follow–Pantone and Robert Kaufman (Fabrics)–have introduced their choice for 2017 Color of the Year. Pantone has been doing this for years. Sometimes I love their choices and sometimes they just fall flat for me. Like their choices for 2016. They chose two colors actually–rose quartz and serenity–a pale pink and pale baby blue that just didn’t work for me. Good choices for baby items, though. I have to say I truly applaud their choice for 2017. It’s called “Greenery” and I love it. It’s a fresh green that is so inspirational. 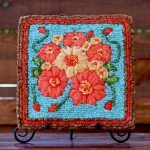 It evokes ideas of growth, gardening, herbs, and creating–all things I love. 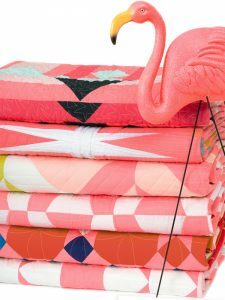 Robert Kaufman also just announced they’ve chosen a “Pink Flamingo” color that’s a shade of coral. It’s also fresh and when paired with Pantone’s Greenery, I think it works. 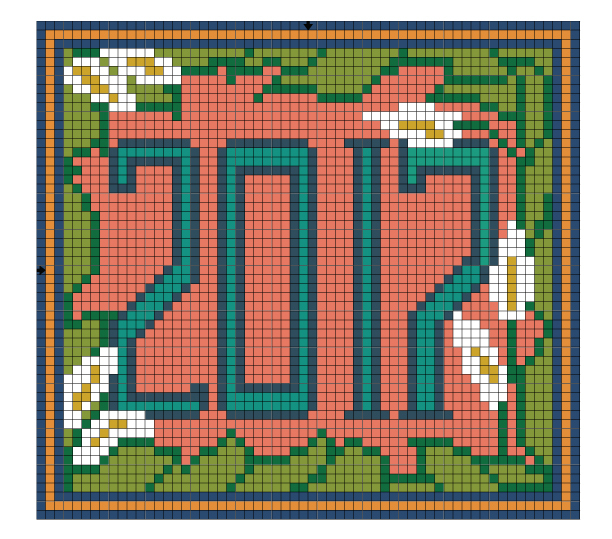 Here’s my pattern creation for a 2017 mat that incorporates both colors. You could easily locker hook this on 5-mesh canvas. I couldn’t resist and just had to add more colors. 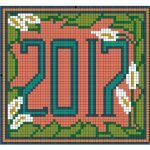 The “2017” is adorned with peace lilies and greenery. Now I just have to finish locker hooking it. Stay tuned. 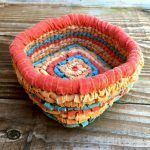 It just so happens that Color Crazy has these two colors–or at least colors that are very similar–in our collection of hand-dyed fabric strips. 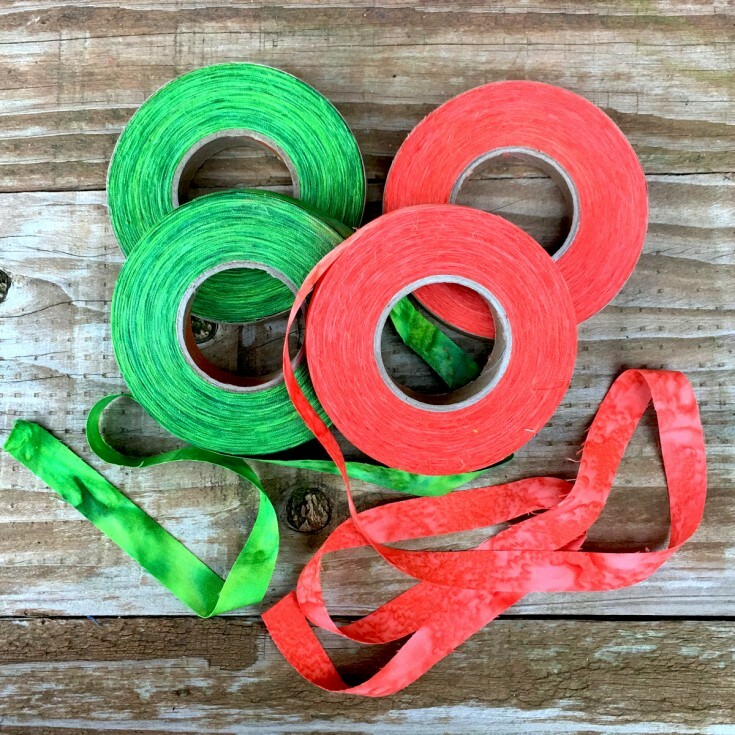 Fresh Greens and Coral in the 1/2″ cotton strips are going to be renamed to honor these choices. Because our strips are hand-dyed batiks, our “colors of the year” are variegated and a bit deeper and richer. What could you create with these colors?